Shavuot Festivities - Chabad of Placer County, Where every Jew is Family! Join us for a Reading of the 10 commandments & Delicious Dairy Lunch, with delicious desserts including Cheese cakes and ice cream! 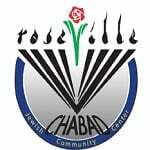 at Chabad House JCC - 4410 Douglas Blvd. Granite Bay. Please consider being a Shavuot sponsor for $180.